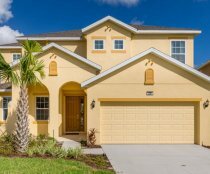 There are many large corporate rental websites out there offering villa rentals in Orlando, but can you really trust that the villas on their websites actually are as they appear ? Are they licensed and paying their taxes ? Does the listing you see on other sites actually belong to the owner or a fraudster ? We only feature quality licensed villas, townhouses & condos on our websites from the most popular resorts thereby ensuring you get the best choice of legitimate & genuine homes to rent. All our listings are an accurate representation of each of the homes we offer with detailed handwritten descriptions based on fact (not fiction and we even check the pool direction is accurate through Google Maps), so you will not have any nasty surprises when you get there - the same cannot be guaranteed on other multiple listings websites where chances are what you are seeing and reading is a total fabrication and it will be too late when you turn up at the home you have rented to find that it does not exist, is already booked by genuine owner, or does not match the description you thought was genuine. We know of many listings on other websites which claim they have a SOUTH facing pool and it turns out that it actually faces NORTH - WHY TAKE THE RISK ? You may not have heard of us before, but I Want A Villa has quietly been gaining a loyal clientele since 2002 serving the discerning villa renter who knows what they want and get what they want from our website. You can trust us to only provide genuine homes from trustworthy owners. When you rent a villa through www.iwantavilla.com you get that exact villa you booked and are not fobbed off with a "similar" villa on a completely different development at the last moment - this is all too common with other websites and tour operators, but this does not happen on I Want A Villa. ARE YOU GETTING FRUSTRATED TRYING TO FIND AN AVAILABLE VILLA ? Have you visited numerous other websites, forums & tour operators and sent out enquiries to owners for villas which appear to be available, only to find that they are not ? Frustrating isn't it ? Not on this website as shock horror... OUR CALENDARS ARE ACTUALLY ACCURATE unlike the other websites, so you can trust our search results and end further frustration in your search for that perfect villa, townhouse or condo in Orlando. 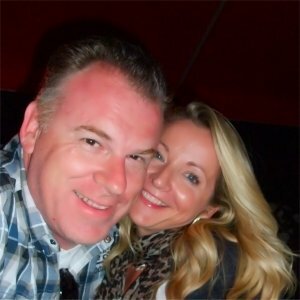 We are Simon & Donna and we own Jasmine 1 villa on this website. We have been operating and constantly developing our trusted website since 2002 and we pride ourselves on our achievement in providing an accurate and detailed portrayal of the all the vacation rental homes we offer. We make it our mission to get to know each and every one of the owners and personally check over every single listing for errors, omissions & facts before publication. We take great care to ensure all our listings are accurate and as detailed as possible. We want you to be 100% confident about the villa, townhouse or condo that you book through our website, ensuring that you get the exact home as depicted without any nasty surprises when you arrive at the vacation home. We have a very high level of repeat bookers ! THAT IS WHY SO MANY CLIENTS TRUST OUR WEBSITE TO DELIVER.....YEAR AFTER YEAR ! Pay for your rental using our secure encrypted payment portal provided through internationally accredited STRIPE accepting Visa, MasterCard & AMEX cards WITHOUT SURCHARGES. This affords you payment protection from your card provider and ensures your booking payment is safe & secure for no additional cost. STRIPE is the preferred payment processor by internet giants like Apple, Amazon & Facebook. To show how well we are doing, we are proud to have 1651 genuine guest reviews from past renters, many of whom come back year after year booking through our easy to navigate and much-acclaimed website - you can see a small selection of the many reviews on this page. 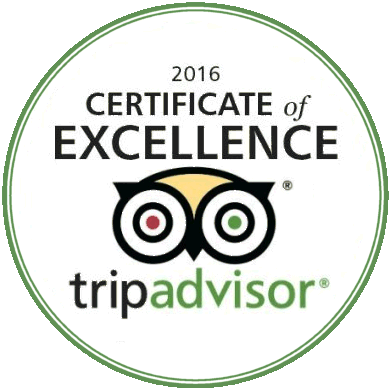 We have an extremely high number of happy repeat clients who have rented villas through our website year after year. So are you planning your next vacation in Florida? 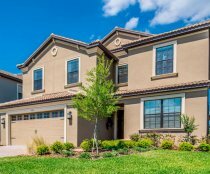 Would you like to rent a luxury holiday home or villa in Orlando? If you answered yes, then you have come to the right place - we have numerous privately owned vacation villas, townhouses and condos for you to choose from on the exclusive Highlands Reserve Golf & Country Club, Solterra, Champions Gate, Reunion, Highgate Park, Southern Dunes, Hampton Lakes, Calabay Parc, Ridgewood Lakes and Watersong resorts in Davenport, as well as the much sought after Windsor Hills, Emerald Island and Formosa Gardens resorts in Kissimmee, Orlando, Florida - all within a stone’s throw of Disney World Orlando. 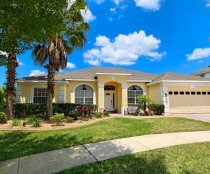 I Want A Villa is your perfect trusted online resource to rent a villa near Disney. 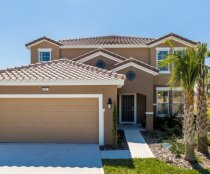 We offer a magnificent selection of privately owned luxury villas in Kissimmee and villas in Davenport as well as townhouses and condos that you can rent directly from the owner together on one convenient website. You will deal direct with the owner of your chosen vacation home, and with no middlemen to drive up prices. 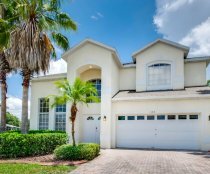 You get the best value and choice of premium quality Orlando vacation rental accommodations and there is no allocation on arrival - the villa you book is the villa you get. 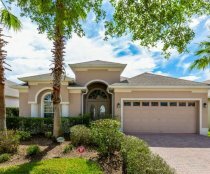 All of our Orlando villa rentals near Disney are perfect for short-term stays and all have private screened pools - many having a golf course, lake or open conservation views - perfect!! We invite you to spend your time productively searching for only available vacation homes and find the ideal vacation rental villa, townhouse or condo for your dates. On our site you can search for all available villas, townhouses and condos for your dates and get an accurate on-line quotation. From your search results, click through to full details with detailed descriptions, icon strip showing all important features including pool direction and photos of each available holiday home. When you have found the one that you want, you can easily book online direct & securely with the vacation homeowner. Please note that unlike other websites, we are unique in that we can actually maintain accurate calendars by directly linking to the management companies calendars, so you are not wasting your time trolling through hundreds of vacation rental home listings, and sending numerous emails to request availability only to find the vacation rental home you want is already booked. On our website, you can simply enter your dates and instantly get a full list of truly AVAILABLE vacation rental homes there and then for you to conveniently and safely book directly with the vacation rental homeowner online. 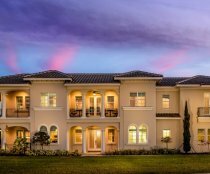 There are a large number of privately owned villas to rent in Orlando, and we only feature the vacation homes on the more exclusive resorts like Highlands Reserve, Windsor Hills, Emerald Island, Hampton Lakes, Formosa Gardens and Watersong resorts to name a few. 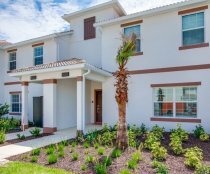 You will only find quality homes on our website which you won't be disappointed with ensuring you have a great holiday in Orlando. DO YOU NEED 2 OR MORE VACATION RENTAL VILLAS TOGETHER ? 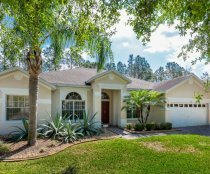 We can even accommodate for large group bookings with multiple Orlando villa rental homes - many even being next door or very close to each other. This unique search facility is ideal for a large group who can now all stay close to each other in 2 or more villas without any hassle - we make it very easy !! Are you looking for a home to stay in for January through to March/April ? We have a selection of quality villas where the owner is offering attractive discounts for 60+ night stays. 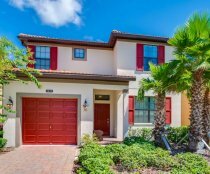 After a full-on week doing the parks in Orlando, why not then have a holiday and relax on the beautiful Gulf Coast staying in a vacation villa or condo within easy access of a pristine sugar-white sandy beach ? We are now adding fully verified and excellent villas on the Gulf Coast to our website from the most popular beach locations including the gorgeous barrier islands such as Anna Maria Island, Sanibel Island, Captiva Island with their fantastic sugar white sandy beaches. There is no better way to enjoy the delights of Florida than to experience a 2 centre holiday with full-on theme parking in Orlando, followed by complete wind-down on the Gulf Coast. Florida has so much to offer - check out our comprehensive guide to Florida attractions. Why not pre-order Discounted Attraction Tickets for Disney, Universal Studios, Sea World, Busch Gardens, Legoland and the other major theme parks and attractions across Florida. We can also provide quotes for competitive flights to Florida - why not request a quote for Florida Fly Drive or if you already have your flights booked, check out our car hire options including next day Orlando Car Hire with private transfer or even a reliable taxi service if you don't want to drive. We can even sort out airport parking or hotel parking at all UK airports. Florida has more to offer than just theme parks. Florida is a major golfing attraction. 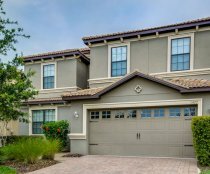 All of our deluxe Highlands Reserve villas are located on a championship golf course, and both Windsor Hills and Emerald Island resorts are only a short distance from some of Orlando's premium golf courses. If you’re into golf, then surely we have the perfect holiday homes for you. All enquiries for renting a luxury vacation villa are dealt with professionally and promptly. When you complete a rental booking form for one of our vacation villas, townhouses or condos, you deal directly with the vacation home owner and all correspondence and financial transactions relating to your vacation home rental will be with the owner. 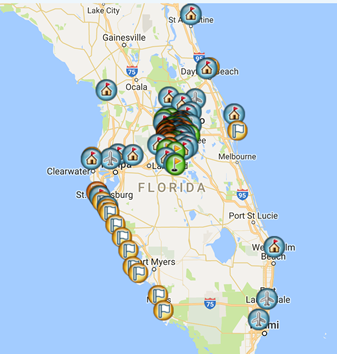 STAYING ON THE US27 - WANT TO KNOW A SHORTCUT TO DISNEY ? Keep up to date on new developments in the Orlando / Disney area and the rest of Florida by liking our popular Facebook Page - we regularly post interesting articles and news items which any Florida fan would find interesting. We have been offering privately owned vacation rental homes to renters since 2002 and have a large client base of repeat renters who come back to us year after year. Unlike some of the scare stories you hear in the news, all our villas, townhouses and condos are 100% trustworthy - please take the time to read the 1500+ genuine guest reviews from happy past renters, many of whom come back year after year. All of our luxurious villas are fully vetted and checked for accurate descriptions and up to date photos before they go live on our website. We check that every owner actually owns the vacation home against public records so you can be confident that you will be renting the villa you see in the advert - we pride ourselves in providing a trustworthy source of genuine vacation homes without any risk to the renter - you can book with confidence through our website. Unlike other rental websites, ALL our calendars are extremely accurate so you can book with confidence. There is no need to enquire about availability - if the holiday home comes up in your search then it's available for your dates!! We have a unique way to ensure that all our calendars are kept accurate and up to date. Any owner failing to maintain an accurate calendar is removed along with their properties from the website. First of all, please search for all available vacation rental homes - there is a Quick Search facility located under the main image above, where you can search our full collection of luxury rental properties, and choose a specific resort or development using the drop down list. You can also select either US Dollars or British Pounds. There is a slider bar for you to easily select the minimum and maximum number of bedrooms you require - simply drag the round dot at each end of the bar to narrow the range of bedrooms you require. Please note that some owners may prefer to be paid in US Dollars and any such properties affected will be quoted in the selected currency but at the point of booking you will be given the option to proceed in US Dollars or to go back to your search results - an explanation is given here. If you have specific needs like pool heating or you want a games room etc., then we recommend you select VILLA SEARCH at the top of the page, where you can fine tune your search results. 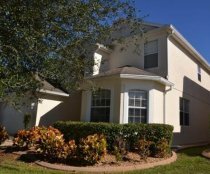 The search results will show every vacation rental home in Orlando that we have available for your chosen dates, and provide the total cost for your rental including all taxes & cleaning charges. If you selected pool heat, this is also included in the on-line quotation. 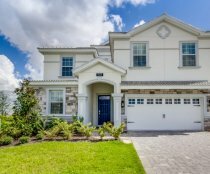 We make the process of booking your luxury vacation home in Orlando as easy and safe as possible. SEARCH WITHIN A BUDGET ? You can narrow the search results of available vacation rental homes for your dates by setting a maximum & minimum cost range. You can do this using the handy total cost range slider located at the top of the search results - here you simply slide the minimum cost up and the maximum cost down which will give you only the vacation homes which fall within the cost range selected. In the search results, each vacation rental home has a View Details button where you can click through to view photos, read full comprehensive details of what is provided and everything you would want to know about your chosen luxury vacation home as well as a more detailed quotation breakdown and Book Now button. Please note that all the Room Titles are clickable and open out to give full details for that room or feature. WHICH WAY DOES THE POOL FACE ? Please note that every villa has details of which way the pool faces shown in the icon strip below the photos - the compass direction is shown as either S, SW, W, NW, N, NE, E, or SE. Represents a SOUTH facing pool and represents a NORTH-EAST facing pool. If you particularly want a Southerly facing pool, you can select the handy filter to only show available villas with SOUTHERLY facing pools. If you are happy to proceed to book the accommodation, click the Book Now button which will take you to a secure on-line booking form. Complete the Booking Form and submit once completed – you will then get an on screen confirmation message and following that, a confirmation email in your email inbox. The owner will then contact you in due course to introduce themselves and instruct you in methods of payment (unless of course, you have not already opted to pay securely by credit/debit card via Stripe or PayPal during the booking procedure). DO YOU WANT TO RENT 2 OR MORE VILLAS TOGETHER ? 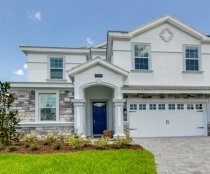 If you are looking to rent multiple vacation rental homes and would like them to be as close together as possible, or even next door to each other, our unique VILLAS TOGETHER SEARCH facility is designed just for that reason. You can search for 2, 3 or 4 vacation rental villas together from as close as next door to each other - the search results are in groups of properties which match your search criteria. IF YOU HAVE ANY PROBLEMS....CHAT WITH US - SEE BOTTOM RIGHT OF SCREEN or if we are not available, leave us a message instead and we will respond quickly. ALTERNATIVELY CALL US, WE ARE VERY FRIENDLY AND HERE TO HELP !! We are always looking for QUALITY vacation rental homes on the popular developments that we feature on this website. We are so successful at generating bookings that we regularly run out of available vacation homes for popular dates, so need more properties to keep up with demand. If you own a quality property and would like to be featured FREE OF CHARGE on our website, please contact us at owners@iwantavilla.com. We work on 10% commission for every successful booking we get for you. Commission is charged after you get paid by the renter whether it be from the 25% deposit or full balance payment, if booked less than 10 weeks before arrival (whichever you receive first). You are in full control of your listing including photographs, description, rental rates and calendar - Nothing to lose, but everything to gain !! 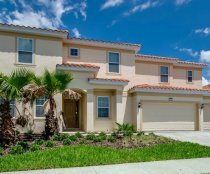 If you own a quality villa or vacation property on a premium development in the Orlando area that we currently do not feature, and wish to have it listed on our website, by all means contact us at owners@iwantavilla.com and we will be happy to discuss this with you. Please note that we qualify all owners with the relevant county property appraiser’s office in which the holiday home is located before we approve adding a listing to ensure that all owners are bona fide. Listing your property is quick and easy on our website and we are always available by email or telephone to assist. We are all back again from another great holiday at the house. The house was beautiful you have made a lovely job of the upgrade all very stylishly done. We where surprised by how many changes you had made as everything was good condition before. The investment must have been considerable. It would take me to long to comment on all the changes, but I think its worth mentioning the new large sofa in the games room was a winner, the family used the room a lot more at nights to have competitions and have a drink! The new control for the spar was also great when we returned from the parks in the evening. I thought the pool area was much better with the tree removed much more light and no leaves to blow into the pool. We also noticed the attention to detail by the new management company the little touches with the folding of the towels how clean and tidy the pool area was when we arrived. Please pass on my thanks to them. Our family absolutely loved this villa. We have stayed at 4 different villas on the US27, and this was by far our favourite. The villa was just fantastic. really really clean and comfortable. Its a cliche but the pictures really do not do it justice. I would highly recommend it to anyone. The neighbourhood was also fantastic, very quiet and well maintained the nicest again we have stayed in. Pool area was lovely. Disney is around 10-15mins away, and loads of fantastic restaurants on the 192. We are already hoping we can go back next year! Thanks again for allowing us to stay in your wonderful villa. For a first family holiday in Florida we were not disappointed by the standard of the villa. The Christmas tree in the villa was a lovely touch by the owners. We found it hard to fault anything about the accommodation and loved the position on Highlands Reserve especially as we could watch the antics of the golfers from the comfort of a warm swimming pool on a cool December morning ( the days soon warmed up to a comfortable mid 80's F whilst we were there ). The games room is great but we really had little chance to use it. The only things we would improve on is that the patio furniture could be updated and a light added to the poolside area as we found it quite dark during the December evening. The local amenities at Berry Town were great. We would highly recommend this to any body else and we will hopefully be returning ourselves in the near future.